“I admit, I was a skeptic,” remembers Dr. Ortiz. Dr. Ortiz began his pre-chiropractic education at RCC where he studied the basic sciences such as inorganic chemistry, organic chemistry, biology, along with basic physiology and anatomy courses. After completing his study there, he was accepted at Los Angeles College of Chiropractic in Whittier, California. During his four years at LACC, courses included biochemistry, a major emphasis on anatomy and human physiology, X-ray, diagnosis, chiropractic adjusting techniques and patient care in the Whittier health Center. After graduating in 1999 Dr. Ortiz practiced in Norwalk CA as the clinic director of treatment for Norwalk Orthopeadic. 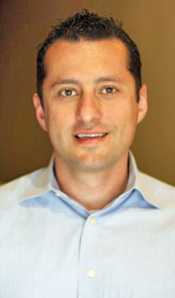 In 2004 Dr. Ortiz returned to his hometown of Corona to establish his practice.